Easily accept website, phone, in-person, and reseller reservations. Xola’s real-time availability monitoring ensures you never over book, and our affiliate management capabilities streamline commission tracking. Beautiful, intuitive booking flows for customers, partners, and staff. Create walk-up or phone reservations in 3 clicks or less. Enjoy Xola’s industry-low credit card processing rate, or we’ll work with your processor via Authorize.net. Unleash the full potential of both direct and indirect distribution channels. Sell tours on the leading consumer marketplaces and deals sites, manage affiliates and local partners, automate interventions that drive substantial revenue, and more. Optimized web checkout = more customers. Website orders drive nearly half of tour and activity booking revenue. 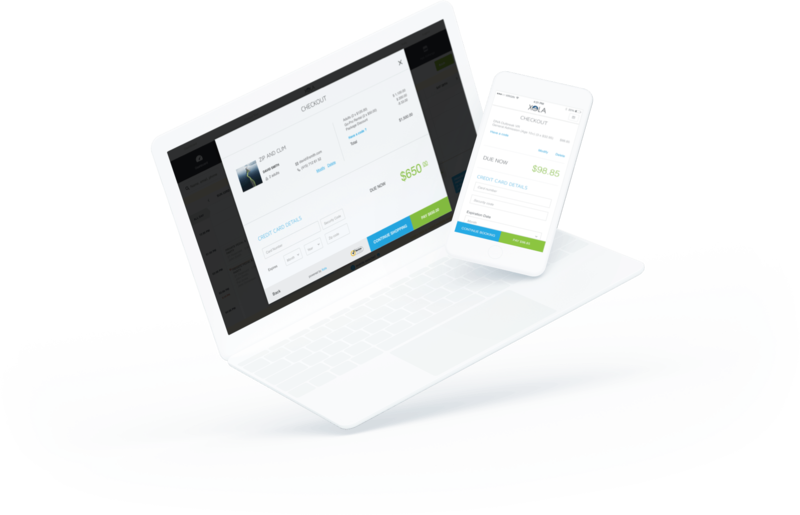 Xola’s web checkout was built based on the principles of checkout conversion science and yields higher conversion rates, greater revenue capture, and an overall better checkout experience for customers on both desktop and mobile devices. Whether you choose to add Xola’s buttons to your site or use the Xola Booking Plugin to automatically generate your storefront, detailed activity pages, and buttons for your WordPress site, Xola’s web checkout works perfectly every time. Easily accept any and all bookings, as well as coupons, vouchers, gift offers, and more. 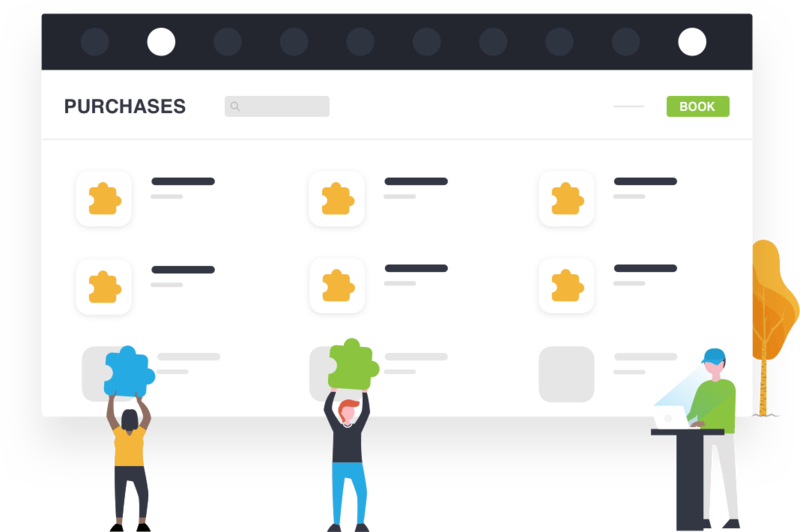 Get a better understanding of the performance of your business with Xola’s pre-built, in-depth reports, or build your own custom reports to dial in on what matters to you. And easily assess campaign performance with Xola’s integrations with Facebook Pixel, Google Analytics Ecommerce, and our custom conversion tracking capabilities. Accept any and all reservations with Xola’s Point of Sale Integration. Create or modify reservations in 3 clicks or less, and rebook customers in just 1 click, with Xola’s award-winning online booking software. The Xola booking software was awarded ‘2018 Best Ease of Use’ from the software review site Capterra for providing operators with the quickest and easiest booking workflows for customers and staff. Elevate the guest experience with flexible in-person payment and check-in options. Easily accept cash, check, credit, vouchers, gifts, and more with Xola’s credit card swiper support, integrated cash drawer, and receipt printer. And keep the line moving with Xola’s advanced check-in options, including ticketing and self-serve kiosks. Sell more experiences. And more. And more. Get more bookings by distributing your experiences on the leading consumer-facing travel platforms and OTAs, including Expedia and TripAdvisor. Then, easily process and manage the reservations within Xola. Xola’s two way sync makes it easy to manage bookings from distribution channels within Xola without fear of overbooking. Xola shares real-time availability with all of your booking channels and automatically updates your dashboard with every reservation made. Easily partner with concierges, tourist information centers, local attractions, restaurants and other resellers. Define affiliate commission rates and / or applicable discounts in just a few clicks. Then, track and report on affiliate reservations and earned commissions within Xola. Get more business by allowing other tour and activity operators to sell your experiences as part of an activity package or a stand-alone offer. Or, if you operate in multiple locations, create your own activity package to cross-sell customers on the other activities you offer.